Firstly, let us say we acknowledge the PES 2015 demo is not the final product and we expect it to be much improved come the release date 13th November. The below review is taken based upon game play from the Xbox One. Let’s start where the demo starts, the menus. They look crisp and the loading between screens is quicker than previous versions. The important screen, the game plan, is a significant improvement upon PES 2014 but let’s be honest how could it be any worse? Being blunt, it doesn’t seem to have the same fluidity PES 2013 had. An upside though is the options regarding tactics, specifically the type of attack (wide or narrow) and what type of passing is played has been simplified. As seems to be the general consensus with Pro Evolution Soccer this year the cinematics before the game starts look superb. The smoothness in the frame rate and likeliness of the players’ real life counterparts is the best any football has produced so far bar none. Having played the full version of FIFA 15 too we will give the nod to them when it comes to snapshot replays such as the close up of kick off but PES definitely wins the player face graphics. We will now break down the game play into the different aspects. Short passing is relatively easy enabling you to play a decent keep ball game, similar to PES 2013 and PES 2014 the power bar is still there. Long passes (or lofted passes) are also relatively easy to implement so long as the receiver has a reasonable amount of space. Through balls are both less and more realistic. Less so being it seems the game encourages you to do a chipped though ball on occasions, where in real life, a floor through ball would be the better option. The more side comes from it is now a lot easier to over hit through balls, annoying yes, but also more realistic. Shooting still doesn’t have the same satisfaction as PES 2011 and the PS2 versions produced but it still feels better striking a ball than on FIFA. One personal gripe with shooting on football games is it often feels like the ball isn’t hit harder enough, whilst not accusing PES of this, it does feel there is room for the ball to be hit harder still. The only other negative based on the demo is it doesn’t seem to matter (enough) what your players body position is when shooting; they can be set up perfectly and hit a frustratingly poor shot but equally can be set up completely wrong and still hit the target with a decent effort. One good positive however is there is a noticeable difference and correct variation between placed and power shots. Dribbling unfortunately still feels a little more PES 2014 than PES 2013, meaning players can’t turn as sharply as they could in PES 2013 and still take more touches than they should to turn 180 degrees. That being said it does feel you have sufficient control of the ball if you keep your body between opponent and ball. Using skill whilst dribbling seems similar to previous PES games but it wouldn’t be fair to comment at this stage as the skill element does require practice. Unfortunately the dribbling aspect will have to finish on a negative which is the pace of the fast players doesn’t seem as fast as it should be with the ball at their feet. The tackling is pretty simple to analyse: standing tackles and sliding tackles. The standing tackles still need improving. When pressing X (the default pressure button) it doesn’t feel as if it does enough, running into the ball as opposed to using the pressure button seems at this stage a more effective tactic, this could be down to a lack of practice though. The sliding tackles on first impressions are great. The motions of the tackle vary nicely, i.e. the same motion won’t occur over and over again, they are very effective when done correctly and the referee will even make the wrong decision whether right or wrong just like in real life! The graphics during the game itself were honestly a little disappointing in comparison to the pregame build up or the replays. Admittedly this could be because we were playing it on the Xbox One in 720p and not on the PS4 in 1080p as well as it being the demo. Replays during the game are truly amazing however, a sharp picture with an incredibly smooth frame rate, it’s just sad the actual game play couldn’t match this. We’re hoping the full version will be better in this respect. Anyone have any feedback for the PS4 for this aspect? To finish on a positive the game still has that classic PES feel which is great because we don’t want another version of FIFA. It still has the always entertaining random PES moments such as own goals, a shot you could never replicate, random penalty decisions and those goal line scrambles. Whilst there were disappointing elements to the demo, we do, as mentioned in the introduction, acknowledge this a demo and are expecting (and hoping) improvements in the full release. It has the foundations to be a fantastic game and just needs a few tweaks to help it become that. One criticism we have found is the ground through balls. They seem to go through to the keeper with slightly too much regularity. This could be because we still aren’t used to it however. FIFA has an awful habit of encouraging us to play air through balls when the correct ball in real life would be to slide the striker in along the ground, it is important PES don’t follow suit and only make air through balls effective when they would be in real life. Pure football is played on the floor and that’s what PES prides itself on! One final negative would be the skills/feints. In the demo they are pretty non-existent and delayed when you click them, this is another thing we hope will be changed and of course we completely acknowledge this could be down to having not set them up as it is only the demo. The graphics seem superior on the PS4 than the Xbox One. There still appears to be a difference in the live game play and the replays for the frame rate. Hopefully, if possible, this is something that is rectified in the full release. Still, overall the graphics are truly incredible; don’t think anyone would disagree they are the best graphics any football game has ever produced. After playing several games the game play is quickly growing on us, the passing is crisp and does an excellent job of replicating a real game of football. It also seems Konami have listened and kept shooting unpredictable and very fulfilling when you’re able to blast one in from long range. This is only the demo version. 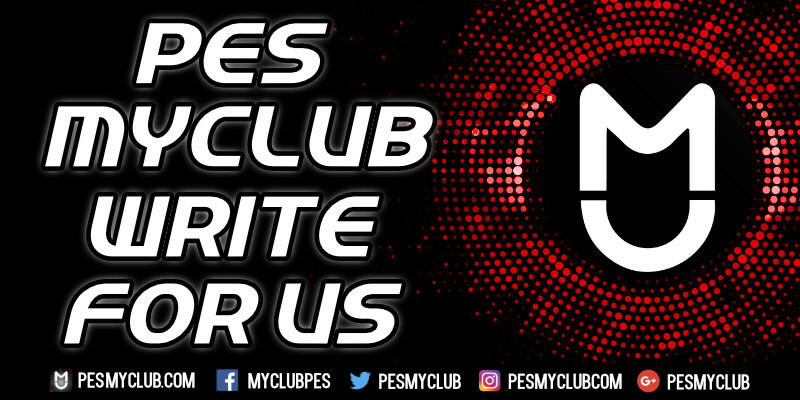 Can’t wait for the full release, PES may well take back its rightful place on the football simulation throne! What do you guys think? Share the same thoughts or have a different opinion to us? Comment below.